Baumkuchen in Japan - Yokoyama Iron Works presents Tabletop Baumkuchen Oven. It's Brand-New. 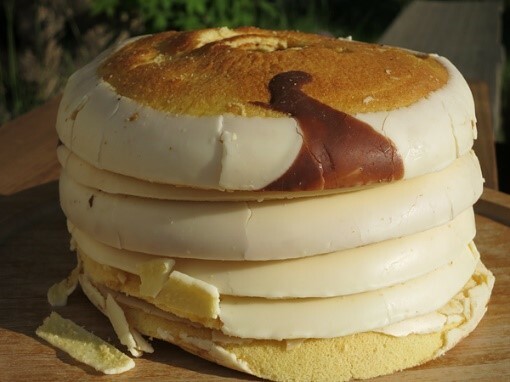 Ryugetsu (Memuro City, Hokkaido) Product Item: "Sanporoku"
Sanporoku, a moist, vertically cut Baumkuchen, made only from locally sourced Hokkaido ingredients with a distinctive coating feature. This product also comes in a smaller and individually packaged version. 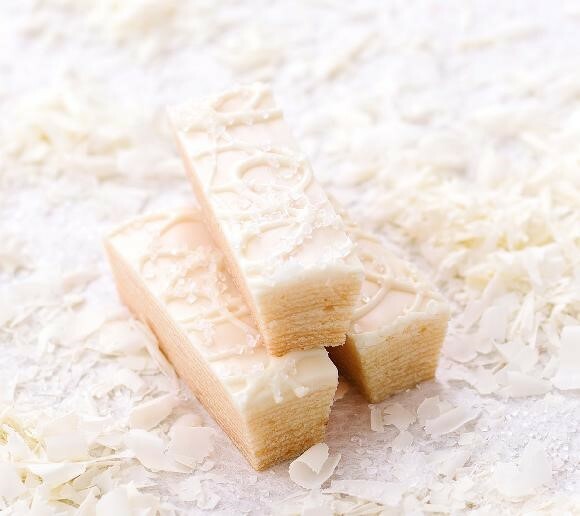 Sanporoku is best known confectionary with its distinctive outer layer resembling the bark of the birch tree, depicted using milk and white chocolate. 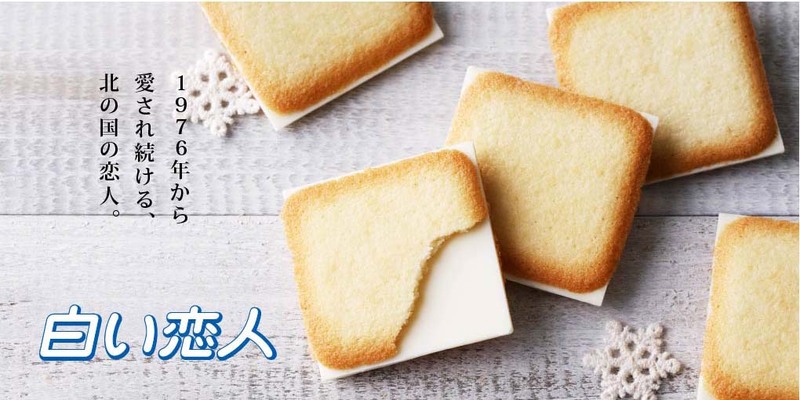 Baked with locally sourced Hokkaido ingredients, including flour from the Tokachi Plain, it is one of the company’s longtime sellers and orders come from all over Japan. 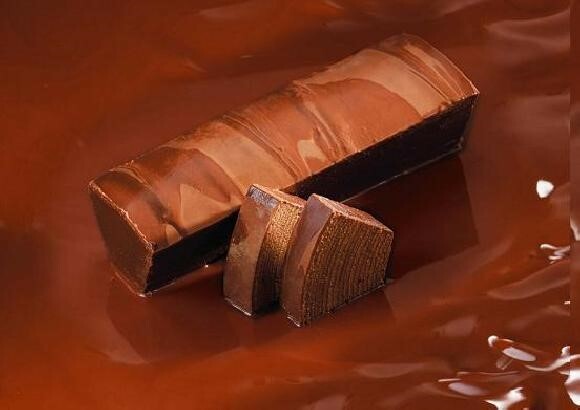 Its highly reputable, moist texture has captivated celebrities and many sweet lovers. 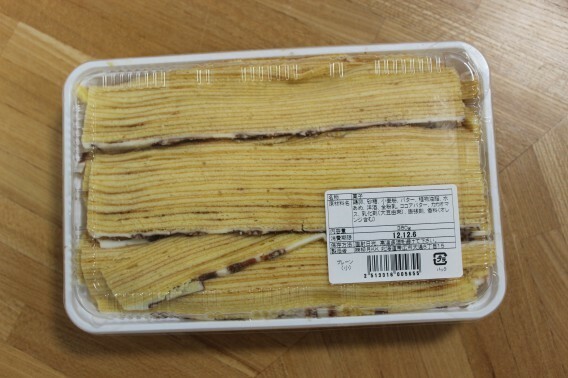 Another characteristic which is unique to Ryugetsu’s Baumkuchen is how they are cut and packaged. 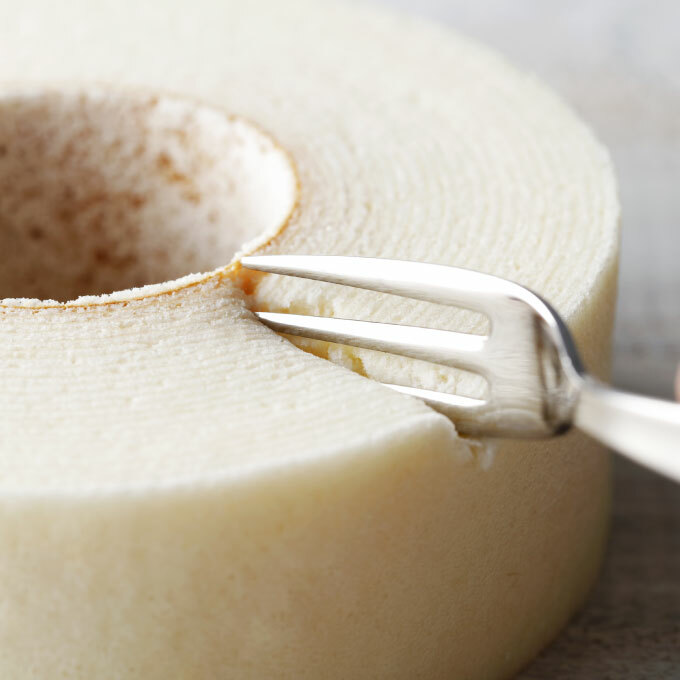 Compared to many other Baumkuchen from other manufacturers which often are cut horizontally to showcase its ring shape, Ryugetsu’s Baumkuchen is cut vertically into a column, partly because Ryugetsu’s Baumkuchen is very moist and not easy to cut into a perfect ring shape. This has become a distinctive feature. 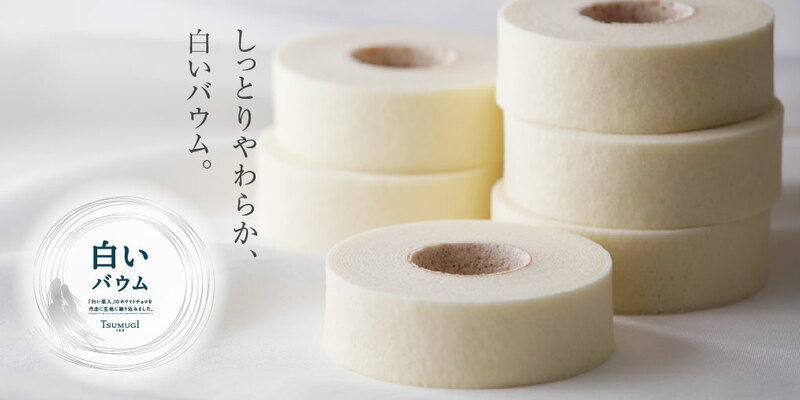 Rugetsu’s Baumkuchen also comes in smaller and individually packaged versions. 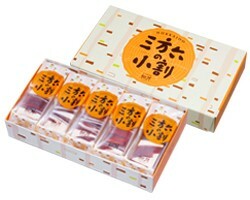 These versions are popular among people who prefer having it as a snack. 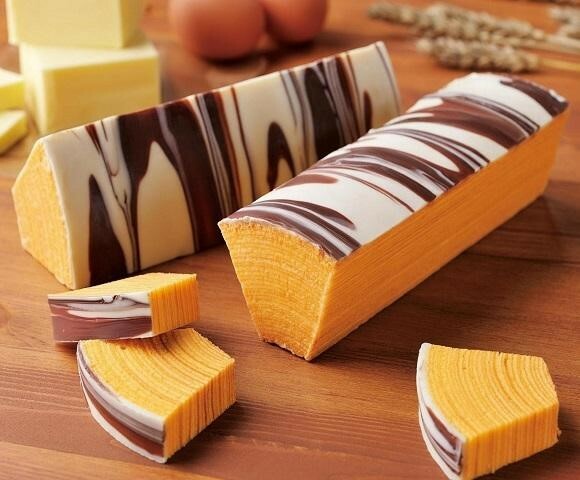 Baumkuchen dries out easily once the package is opened but when individually packaged people can always enjoy fresh Baumkuchen. 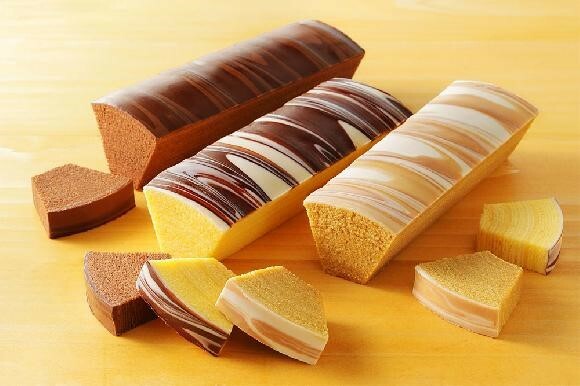 Ryugetsu also produces Baumkuchen in various seasonally limited flavors. 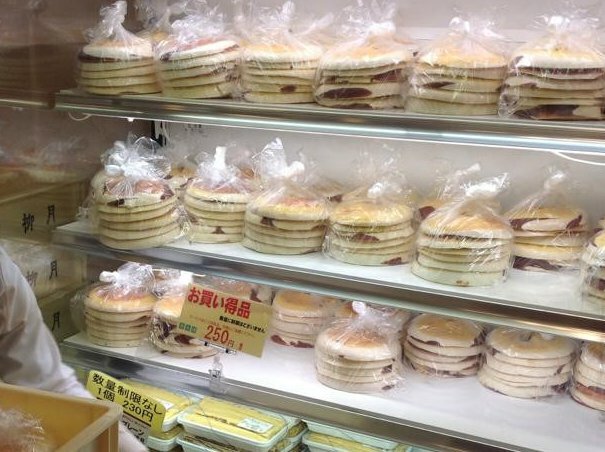 The company’s outlet shop has even become a tourist destination as people flock to purchase cut-ends of Baumkuchen at a fraction of the cost of regular Sanporoku. 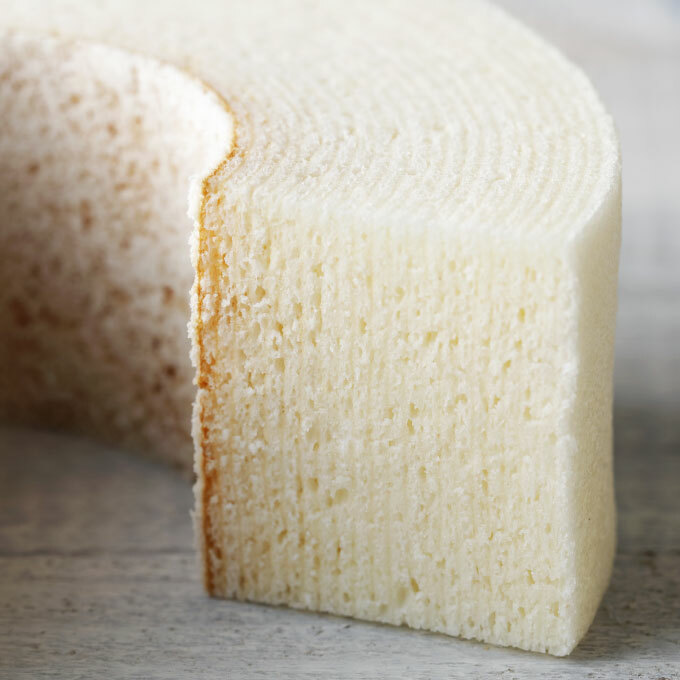 Ishiya (Sapporo City, Hokkaido)　Product Item: "Shiroi Baum Tsumugi","Namara Baum"
Shiroi Baum Tsumugi, a ring shape Baumkuchen with kneaded white chocolate. Moist and soft texture and rich and flavorsome taste. Ishiya introduced Shiroi Baum Tsumugi in 2009, surprising consumers with its uniquely pale appearance which symbolizes snowy Hokkaido. 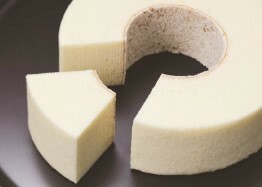 By kneading the same white chocolate used in their signature product “Shiroi Koibito” into a cake dough, the company successfully developed a technique to bake an unconventional Baumkuchen. 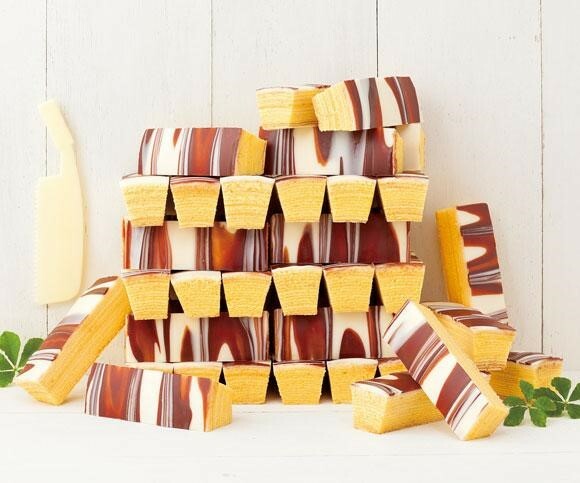 This soft, moist and flavorsome Baumkuchen is very close to the texture of a sponge cake.